Christiane Amanpour of CNN interviewed Joseph Muscat a day after the assassination of Daphne Caruana Galizia. What we heard in that interview is what we’d expect the prime minister of a mature democracy to say. Ten months later, how does it stack up against what’s happened since? The answer should be interesting to Amanpour herself. She’s on the board of directors of the Committee to Protect Journalists and a Unesco Goodwill Ambassador for freedom of expression and journalist safety. If she had to revisit the Caruana Galizia case, we can guess she wouldn’t be burdened by some of the assumptions often made in the heat of debate here. She’d have no need to weigh in on whether Caruana Galizia was saint or sinner, courageous or deplorable or both. She doesn’t have to know what Caruana Galizia was like to make up her mind on the curious developments since her interview. Likewise, she doesn’t need to decide who’s behind the assassination to see that what she was told in October hasn’t quite transpired. Muscat told her that harsh criticism was tolerated in Malta. Asked about Matthew Caruana Galizia’s pointed accusations against him, Muscat replied that, had he been in the son’s position, he’d have said even worse. As for justice, no stone would be left unturned in its pursuit. Today, Amanpour would find that Daphne is described – by several Labour politicians, appointees and activists – as aggressor rather than as victim. Her sons have been called enemies of Malta. The pursuit of justice has been selective. What’s changed? We’ve learned nothing new about Daphne’s character, whatever we make of it. Yet there is a systemic campaign, conducted on the social media and through the public authorities, to say her murder does not deserve to be remembered. Were things changed by the conclusions of the Egrant inquiry? But the inquiry said nothing, about the fundamental accusation that Muscat hadn’t publicly declared already by the time he was interviewed by Amanpour. The Egrant inquiry conclusions cannot be the reason behind the campaign. Besides, the campaign came first. And the fire has been directed at other critics, too. Did you say harsh criticism is tolerated in Malta, Prime Minister? Even a small demonstration in London saw a planned mobbing, on social media, of one of the organisers. Critics in Malta have been insulted as whores and ridiculed by government advisors and appointees. For a while, the standard response to international journalists was that they didn’t know the real Daphne and the character of her supporters. Until, that is, international journalists themselves came under fire. Some of Amanpour’s international peers formed the Daphne Project to continue to investigate Caruana Galizia’s stories. They found themselves declared an enemy of Malta. In April, a mass meeting was called by Muscat as a show of might against the supposedly hostile foreign press. 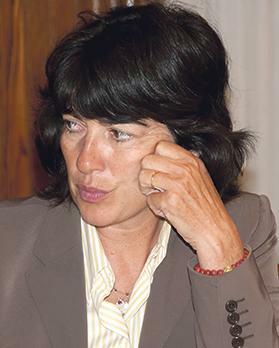 Amanpour, as Unesco ambassador for freedom of speech, would be fascinated to find that all this – the government-sponsored mockery of critics, the rallying of the masses – is justified in the name of freedom of speech. It’s an interpretation that goes directly against what she promotes. Freedom of speech belongs to individuals, a guarantee against the powerful. The powerful don’t need guarantees to speak. When they use the powers of government and numbers to challenge others, the powerful have changed a right meant to promote the force of logic into one that promotes the logic of force. To say that all these people were expressing personal opinions is a weasel excuse. When Tony Zarb called women protestors “whores”, Muscat said he did not agree – but he didn’t condemn the comment. Worse, the Facebook groups organising online mobbing weren’t simply freelancing. They identify themselves using the Labour Party name and are led by people on the public payroll. Muscat has not condemned them. He has not even protested their use of the name of the party he leads. Far from being the work of mere individuals, the mobbing, insults and intimidation gain their meaning from their association with the government and partisan power. So much for tolerance of criticism. What about the pursuit of justice? It’s certainly true that the police quickly charged three men with executing the murder. But they have also been remarkably quick in not even considering all possible avenues when it comes to whoever commissioned the assassination. They may be pursuing justice but they’re being picky about which stones to turn. Some have said the police have been hampered by the Caruana Galizia family, which did not hand over the two laptops last used by the murdered journalist. But the police themselves never expressed any doubts about their initial decisions. It seems (at least up till mid-June) that no request for data was made to the German police, which has possession of the two laptops and three hard drives. Finally, Amanpour would turn to how Matthew (and his brothers) has been transformed into someone who – to paraphrase one Labour MP – hates Malta so much he’d rather damage its reputation than see justice done to his mother. One of the brothers’ sins has been to refuse to turn over the laptop to the police. However, that was after the police systemically leaked details about the case in the early days of the investigation. And in the context where the lead investigator was married to a government minister – when another minister in the same government had tried to get a court to force Caruana Galizia to reveal her sources. The brothers also came under fire for demanding that the lead investigator be changed. A judge has recently ruled in their favour. Is he, too, challenging the legitimate authorities? Faced with all of this, the big question Amanpour would have concerns her own role. If Muscat and his enforcers are so unapologetic about their behaviour when addressing the Maltese public, why do they feel a need to disguise what they’re doing when they’re speaking to the likes of Amanpour?